With only weeks until graduation from Gray Cliffs Academy, Reese has his eye on breaking free. He wants out of this school and to get away from the people who sent him there. Being summoned to the headmaster’s office was no big deal, until he and his school mates are swept away into a wicked storm that tossed Reese into an underground world full of danger and evil beings. His only hope of escaping this underground world is to learn how to harness his magnetic magic and travel through the underground city to reach a portal that will transport him back to the school. But time is running out! 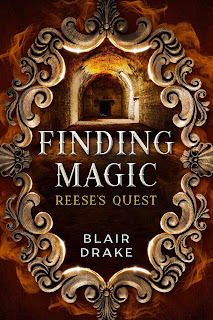 With the help of Raven, a young girl who’s been trapped in that underground city, Reese must get to the portal before it closes while navigating the tunnels and minefields of the underground world and those who want them dead! 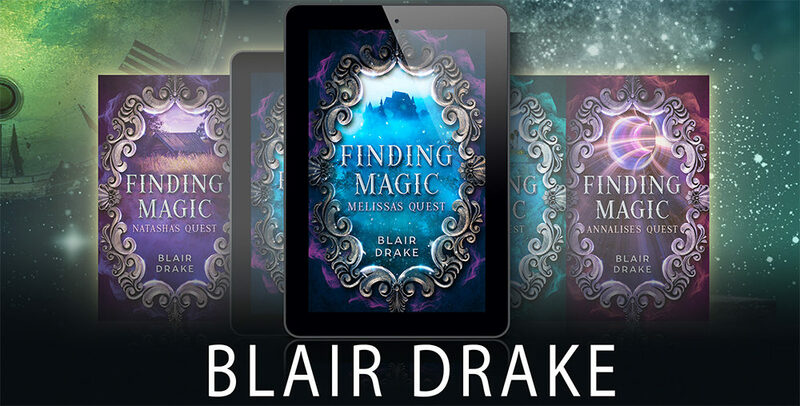 Can he harness his magnetic magic when needed and use it to his advantage when needed in order to stay alive long enough to make it home? He breathed deeply, and he ran past the bridge, wanting to turn back. But then the vibration in his pocket ate into his concentration and pulled his focus away from the track ahead of him and the missed opportunity to escape. Reese tried to ignore it and kept running. But the vibration grew stronger until an audible hum cut through all the noise in his head. It was so loud and the energy inside him was so strong that Reese felt as if he could shatter into a million pieces like glass. A small whimper beside him startled him. Raven. He couldn’t see her. But he heard her quiet cry of distress. She was there in his mind, curled into a ball on the side of the track. He slowed down as he approached her. “Keep going. Don’t stop for anything or anyone,” Endel said as he got closer to Raven. She lifted her face to him. The sun glistened off the tears on her cheeks as she cried. The sound of Raven’s cries weren’t in his head. They were real. He could feel her fear as if it was tangible. Suddenly she was no longer sitting on the track. She was sitting right next to him on that crate curled into a ball. Reese opened his eyes and reared back in his seat so far he nearly fell off the stool. Light assaulted his eyes making him squint from its brightness. The room was aglow, completely illuminated up to the ceiling that towered above him. The center column was like a tornado of fire, swirling around the center and continuing up to the bulbs. One by one the bulbs exploded into a spray or sparks that rained down into the room. “How?” Reese asked. He flew off the chair and backed against the wall. Endel stood by the column as if he were completely unaffected by the heat. A memory that had been lost in the recesses of his mind suddenly came back with glaring clarity. He’d been in the kitchen of the small house he lived in with his parents. They’d still been together then. He didn’t remember how it started. But he remembered the electrical sockets in the kitchen sizzling and then burning. Then the toaster blew up and caught on fire. He’d been a young boy then. He remembered his father coming into the kitchen and yelling at him, while his mother was trying to calm him down, telling his dad that he didn’t know what he was doing. Reese blinked his eyes to clear the memory and the pain of remembering it caused. He ran to the table and found Raven just as she’d been in his vision, curled up in a ball crying. She looked up at him with wide eyes as he held a hand out to her. As his breathing calmed, the light in the room began to fade. Not completely. It was still bright enough to see far more than he’d been able to see when they’d first come into the room. “Jeez, that was intense. Are you okay?” Reese asked, crouching down next to her when she didn’t take his offer of helping her to her feet. “Can’t be. How could anyone do something like that?” Reese looked at Endel who seemed unaffected by what they’d experienced. Fear clutched him, making it hard to breathe. The lights flickered and then dimmed more. The cylinder that had been cold and lifeless earlier was no longer the ball of fire it was when he’d opened his eyes. But it was still humming and alive with bright colors and sparks. Have a nice day. Nice to contact you again. I'm wondering if you could please take a look at our latest DesignEvo V.2.5 and share this app on your site? It would be much appreciated if you could let me know any of your ideas. If you are interested in writing about it on your site, please feel free to contact me for the coupon code to access its premium packages for free.